Freshman Focus is an A10talk series that takes a look at some of the incoming freshman for the upcoming 2016-17 season. We take a closer look at some of the more talented first year players who will take the court for the first time next season. Despite graduating two seniors last season, Jon Axel Gudmundsson is the only freshman coming in for Davidson in 2016. 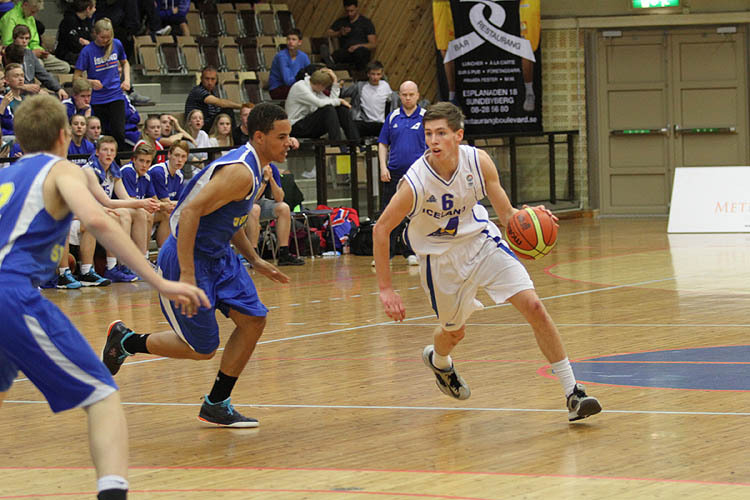 He is a 6’4″ guard from Grindavik, Iceland. Another European import for coach Bob McKillop (an area that he has found lots of success in over the years), the Icelandic Gudmundsson will look to provide a boost both offensively and defensively his freshman year. Gudmundsson is not a stranger to the spotlight at all: he played two seasons for the Grindavik Basketball Club in Iceland’s Super League (the top flight of basketball in Iceland) and averaged 15.8 points, 8.0 rebounds, 5.3 assists, and 2.2 steals per game during league play. Gudmundsson has also represented Iceland on various youth international teams, which was how he drew the attention of the Davidson coaching staff. He became a top target after averaging 18 points per game in an international U-20 tournament in Finland. It will be a bit of a transition of course to A-10 basketball, but Jon Axel Gudmundsson looks to be one of the more experienced freshmen coming in to the conference due to his club and international play. Davidson head coach Bob McKillop expects Gudmundsson to add toughness to the squad. I see him early on in his career as a defensive specialist that is good driving towards the rim – Gudmundsson’s three point shot will only improve under the tutelage of McKillop, and will hopefully be a major weapon by the time he is an upperclassman. For Gudmundsson’s freshman year, there are a few minutes available. Because he is an international prospect and I don’t study various European leagues for a living, it is really hard to project how his numbers and skill will match up against A10 competition, especially his freshman year. With the loss of Brian Sullivan and Jordan Barham, and various players coming off of injury, there will be minutes up for grabs, and I can see a situation where Gudmundsson gets some time off the bench as a guard that can change the pace of the game, drive to the hoop, and draw some fouls. Ultimately his early playing time prospects center around his ability to defend – if that piece of the puzzle falls into place, Gudmundsson could be a key cog for Davidson next season. If not, he is a player that will surely develop and become a major contributor by the time he’s an upperclassman.